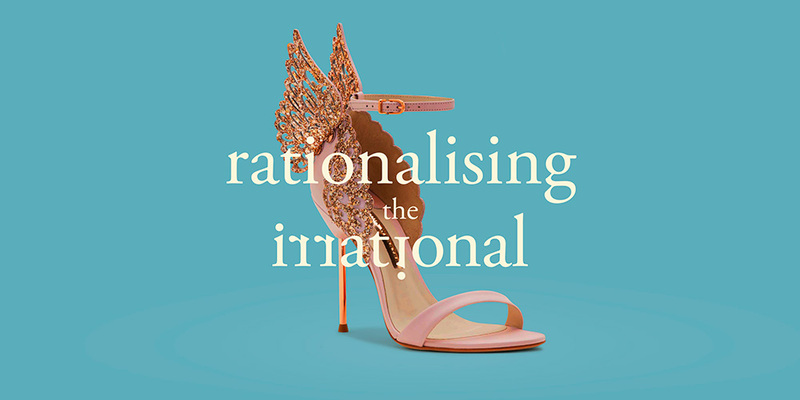 I’ve spent most of my career working with fashion and lifestyle brands, delighting in the seemingly impossible task of rationalising the irrational. These are arenas fuelled by emotion and passion, and are largely governed by irrational decision making. No one needs to buy a £200 dress any more than they do a £10 dress, or spend £80 on a Michelin starred tasting menu when a £1 microwave ready meal would suffice. But we do, and we enjoy it. We are curious, excitable creatures. We need stimulation in our lives and crave new and satisfying experiences. Making connections with people on an emotional level is what really interests me about what I do. With FMCG or services there is usually a rational reason for buying; price, quality, need, convenience. You can build a brand guarantee around these values to clearly express what your brand offers. It’s often more challenging to do that with lifestyle-focused brands. We have to build a brand around a promise, something that can be genuinely fulfilled and sets you apart. “We will make you feel special”, “this will taste amazing”, “this will offer an experience like no other”. FMCG is more of a ‘sell’, lifestyle brands are more of a courtship. We need to make people fall in love. We need to create a brand universe that absorbs, inspires and excites the audience, tapping into values that stimulate people on a personal level, whether that’s aspirational, ethical, a search for enlightenment, or just the simple desire to be part of something new. Just look at the visual manifestation of brands. Rational can be beautifully simple. The rise of value retailers such as Aldi and Lidl has shown that we’re happy to shop for life’s everyday items in a more functional, straightforward environment, and be communicated to in a more functional, straightforward manner. Brand guarantees of price, quality and convenience are at the forefront of an uncomplicated offer that makes it attractive and easy for consumers to buy into. A simple proposition is vital in underpinning any successful brand. But when it comes to building upon that with more lifestyle-focused brands, whether that’s fashion, tech, home or F&B, physical spaces and social channels have become theatres, fully immersive environments designed to entertain, entice and enthral. It’s an entrance to a universe that connects the physical, digital and emotional. It’s part of the courtship that is not so much about instant sales, but forming a long-term relationship. Inspiring a connection that will touch an increasing amount of our daily lives through the various social and media channels we consume, ensuring the brand is never far from our thoughts. Relationships are built upon trust. Trust inspires loyalty. Loyalty translates to repeat sales and valuable brand advocacy. All good lifestyle brands have unique personalities, people even more so. Trying to rationalise the irrational to create exciting, fulfilling connections between the two is often a challenge. We are complex, diverse, constantly surprising, emotional, fascinating beings. And therein lies my fascination with what I do as a creative.